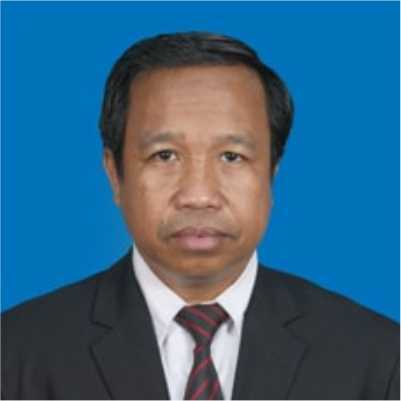 Dr. Drajat Tri Kartono, M.Si. Dean, Faculty of Teacher Training and Education: Prof. Dr. Joko Nurkamto, M. Pd. Dean, Faculty of Cultural Science: Prof. Riyadi Santosa, M.Ed. Dean, Faculty of Economics and Business: Dr. Hunik Sri Runing Sawitri, M.Si. Dean, Faculty of Social Science and Politics: Prof. Dr. Ismi Dwi Astuti Nurhaeni, M.Si. Dean, Faculty of Law: Prof. Dr. Supanto, S.H., M.Hum. Dean, Faculty of Agriculture: Prof. Dr. Ir. Bambang Pujiasmanto, M.S. Dean, Faculty of Medicine: Prof. Dr. Hartono, dr., M.Si. Dean, Faculty of Engineering: Dr. techn. Ir. Sholihin As’ad, M.T. Dean, Faculty of Mathematics and Natural Science: Prof. Ir. Ari Handono Ramelan, M.Sc. (Hons), Ph.D.
Dean, Faculty of Arts and Design: Drs. Ahmad Adib, M.Hum., Ph.D.
Acting Official in Charge Dean, Faculty of Sports : Prof. Dr. Joko Nurkamto, M. Pd. Director, Postgraduate Program: Prof.Dr. M. Furqon Hidayatullah, M.Pd. Head: Prof. Drs. Sulistyo Saputro, M.Si., Ph. D.
Secretary: Ir. Ary Setyawan, M.Sc., Ph.D. Chair, Center of Research and Development of Tourism and Culture: Drs. BRM. Bambang Irawan, M.Si. Chair, Center of Local and Institutional Policy Studies: Tuhana, S.H, M.Si. Chair, Center of Technological and Industrial Collaboration Studies and Development: Pringgo Widyo Laksono, S.T, M.Eng. Chair, Center of Population Research: Dr. Vinc Hadi Wiyono, WS, M.A. Chair, Center of Disability Studies: Drs. Subagya, M.Si. Chair, Center of Research and Development of Food, Nutrition and Public Health: Shanti Emawati, S.Pt., M.P. Chair, Center of Entrepreneurship Development: Susantiningrum, S.Pd., S.E., MAB. Chair, Center of Regional Information and Development: Dr. Mulyanto, M.E. Chair, Center of Rural and Regional Development Research: Prof. Dr. Ir. Sudibya, M.S. Chair, Center of Javanology Studies: Dr. Ir. Mohamad Muqoffa, M.T. Chair, Center of Environmental Research: Prof. Dr. Okid Parama Astirin, MS. 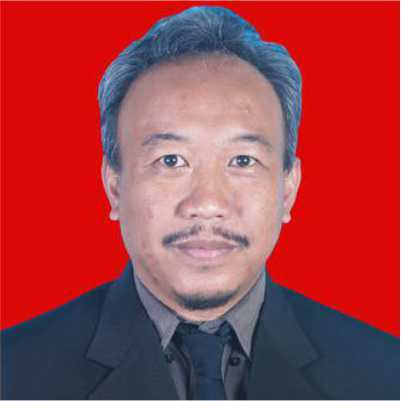 Chair, Center of Research and Development of Biotechnology and Biodiversity: dr. Afiono Agung Prasetyo, Ph.D. Chair, Center of Disaster Studies: Drs. Sarjoko Lelono, M.Kes. Chair, Center of Research and Development of Gender: Dr. Rina Herlina Haryanti, S.Sos., M.Si. Chair, Center of Japanese Studies: Danar Praseptiangga, S.T.P., M.Sc., Ph.D. Chair, Center of Sexual Health Studies: dr. Istar Yuliadi, M.Si. Chair, Center of Cooperative and Small and Medium Scale Studies & Technical Assistance: Dr. Ir. Heru Irianto, M.M. Chair, Center of Research and Development for Constitution and Human Rights: Ayub Torry Satriyo Kusuma, S.H., M.H. Chair, Center of Democracy and National Defense Studies: M. Hendri Nuryadi, S.Pd., M.Sc. Chair, Center of Financial Studies of Public Sector and Tax Center: Drs. Agus Budiatmanto, M.Si., Ak. Chair, Center of Islamic Economic Studies: Dr. Wisnu Untoro, M.S. Chair, Center of Prosperous Independent Fund: Prof. Dr. Asri Laksmi Riani, M.S. Chair, Center of Public Transparency and Anti Corruption: Agung Nur Probohudono S.E.,-M.Si., Ph.D.,Ak.,CA. Coordinator of the Quality Assurance Unit of Research and Community Service: Dr. Fitria Rahmawati, S.Si., M.Si. Coordinator of Community Services: Dr.Sc.Agr. Rahayu S.P., M.P. Head: Prof. Muhammad Nizam, S.T.,M.T.,Ph.D. Secretary: Dr. Sarwanto, S.Pd., M.Si. Chair, Center of General Course Development And Management: Drs. Hassan Suryono, S.H., M.H., M.Pd. 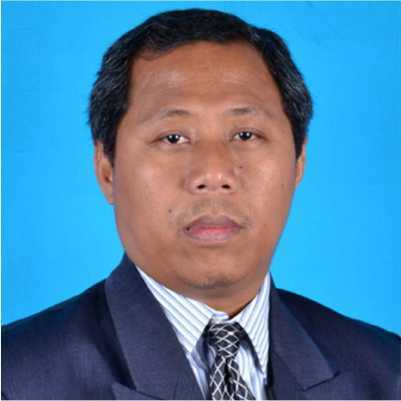 Chair, Center of Learning System Development: Dr. Tri Murwaningsih, M.Si. Chair, Center of Development of Information Technology for Learning: Dr. Triana Rejekiningsih, S.H., KN, M.Pd. Chair, Center of Development of Quality Management System: Ir. Djoko Sarwono, M.T. Chair, Center of Resources Development: : Prof. Dr. Salamah Wahyuni, S.U. Head of the Technical Implementing Unit of Library: Dr. Muh. Rohmadi, S.S., M.Hum. Head of the Technical Implementing Unit of Information and Communication Technology: Dr. Wiranto, M.Cs. Head of The Technical Implementing Unit of Integrated Laboratory: Dr. rer.nat. Sri Mulyani, M.Si. Head of the Technical Implementing Unit of Language: Drs. Mugijatna, M.Si., Ph.D.
Head of the Technical Implementing Unit of International Services: Muh. Taufiq Al Makmun, S.S., M.A. Head, Office of Internal Control Unit: Dr. Bandi, M.Si, Ak. Head of Technology Innovation Center: Prof. Dr. Kuncoro Diharjo, S.T., M.T. Vice Director of Service Affair: Tonang Dwi Ardyanto, dr., Sp.PK., Ph.D.
Vice Director of General Affair: Ir. Ahmad Farkhan, M.T. Vice Director of Finance and Human Resources: Dr. Wisnu Untoro, M.S. Head of Internal Supervisor of UNS Hospital: dr. Isdaryanto, MARS. Coordinator of Leader Secretary : Drs. Tundjung Wahadi Sutirto, M.Si.